I wouldn’t be the biggest fan of “Eli Roth” but I have nothing but respect for the man. Although I really want to enjoy his films. I always found that the script was very shallow and Cheesy and very predictable ( my opinion only), but he is one of the only people around today that is still releasing 18-R certificate movies, which I have nothing but respect for. When he made “cabin fever” he ran out of money during the shoot and everybody including the actors worked for free until the film was finished and started earning some cash, and everybody knows that “cabin fever” done extremely well. So everybody got their cash in the end and the film made “Eli Roth” a household name in the horror genre. 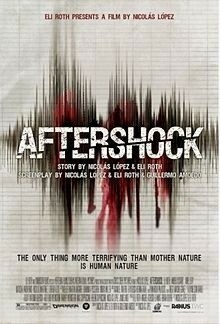 So, “aftershock” is co-written by “Roth”, he also stars, helped write the screenplay, and also serves as producer, but this time he takes a step back form the directors chair and gives “Nicholas Lopez” a chance. “Aftershock” is the story of a group of friends who attend a huge underground dance event in “chile”. You have all the typical annoying characters that you would find in any horror movie. The storyline seemed really predictable, and I was close to turning it off a couple of times but I was glad I didn’t. 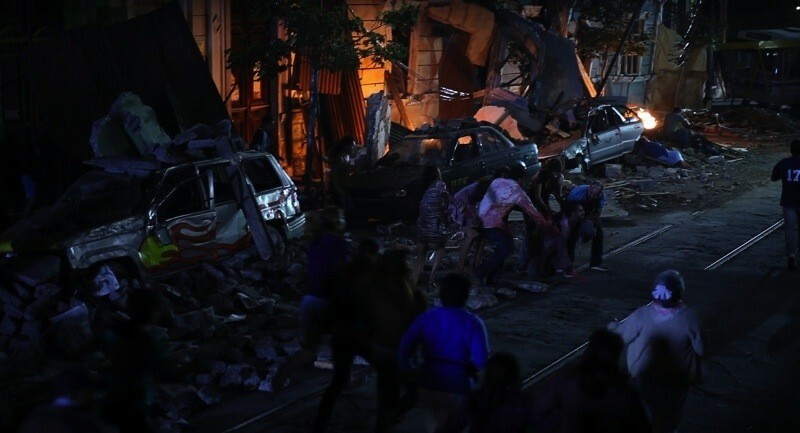 When the earthquake actually happens (after a very long 40 mins) the film takes a complete turn for the best and we get a solid survival horror film for the last hr. Although this film won’t go down as one of the my most favourite films in history. I thought I’d give it mention as there’s a lot worse out there, and the more mainstream crowd who enjoy a good American horror film would probably enjoy more than I did. So by all means give it a shot.